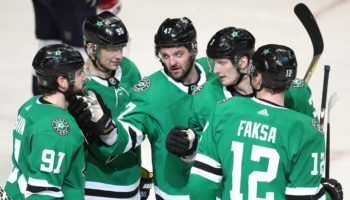 To start, here are our flashbacks – and predictions – for the first-round series out in the Western Conference. No, that’s not only because the Wild would be wearing one of the coolest jerseys the NHL has ever seen, those of the Minnesota North Stars. (Though that does play a part in the reasoning, of course!) After defeating the Presidents’ Trophy-winning Blackhawks in the Norris Division semifinals, the North Stars then went up against the Blues, who not only finished just one point behind Chicago in the regular season (105 points), but boasted the player who ended up winning the Hart Trophy as league MVP, Brett Hull. The team of talent in the Gateway City couldn’t phase the squad that ended up being a team of destiny, as the North Stars won Game 1 at St. Louis Arena and never looked back, winning the series in six games. Minnesota then defeated the defending Stanley Cup champion Edmonton Oilers before coming up short in the Stanley Cup Finals to Mario Lemieux and the Pittsburgh Penguins. Oh, and did you know/remember that the general manager of the North Stars that season was Hockey Hall of Famer Bobby Clarke? 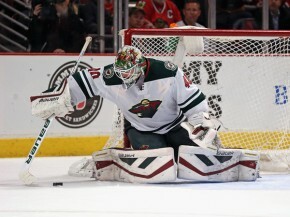 As for this series, the Wild will go as far as goaltender Devan Dubnyk takes them, and if his season with Minnesota is any indication, he might take the city back to the Stanley Cup Finals. The Wild were in 13th place in the Western Conference before general manager Chuck Fletcher dealt a third-round pick in this year’s draft for Dubnyk, who was the back-up keeper with the Arizona Coyotes. Since then, the Wild have gone 27-9-3, with Dubnyk playing in all but one of those games, posting a 1.78 goals against. Along with steady goaltending, the Wild’s resurgence coincided with regaining their health, as Minnesota spent early parts of the season playing without three of its top four defenseman: Jonas Brodin, Jared Spurgeon and Keith Ballard. (Ballard remains on the injury list.) Minnesota gained valuable winning experience in the playoffs, winning Game 7 on the road last season in the first round against the Colorado Avalanche, and the leadership of winger Zach Parise (33 goals) up front and Ryan Suter on the blue line should serve well for a team that many experts are picking to make a deep run in this year’s playoffs. Third-line right winger Nino Niederreiter, who scored the series-winning overtime goal against the Avs, netted 20 goals this season for Minnesota, proving the Wild’s line depth. As solid as Minnesota’s goaltender situation appears to be in net, the same can – and can’t – be said about the St. Louis Blues, as Jake Allen appears to be the man who will start the series in net for the Blues. Both he and other goaltender Brian Elliott won at least 20 games this season, with each of them posting goals against averages of under 2.3 and save percentages of over .910. But coinciding with the Blues poor playoff track record in recent years, the net play in those series has been spotty at best. Fortunately for the Blues, they have a top-end offense, helped by the offseason acquisition of Paul Stastny to go along with the emmergence of Vladimir Tarasenko, who scored 37 goals to go along with 36 assists. Tarasenko came back from a late-season injury just in time to score a goal and add an assist in the regular-season finale win against the Wild in St. Louis. All this, and we’ve yet to mention T.J. Oshie, the shootout hero for the United States team at the Sochi Olympics, and David Backes, one of the premier two-way players in the game. St. Louis may boast the deepest defense in the league, with U.S. Olympian Kevin Shattenkirk and former Calder Trophy winner Barret Jackman forming the third defense pairing. 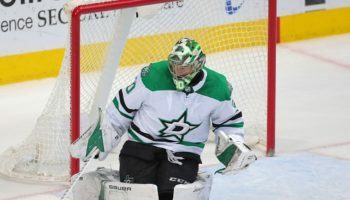 ALOST’s Prediction: With last season’s playoff success going along with the Vezina-like play of Dubnyk, the Wild are a very popular pick to pull off what would be considered an upset if looking at the final standings. That said, I’m banking on the the Blues’ improved offense and the veteran coaching of former Stanley Cup Champion Ken Hitchcock (1999 Dallas Stars) to see St. Louis through and buck the recent trend of early playoff shortcomings. Yes, this is the only time these teams have met in the Stanley Cup Playoffs, but the series acted as the springboard to the ‘Hawks’ first Stanley Cup since 1961. The journey to the Cup started ominously, however, as the Predators earned their first ever road playoff win in Game 1 at the United Center. With the series tied at 2, Nashville was in prime position to steal home ice once again after Marian Hossa committed a major boarding penalty late in the third period, with the penalty spanning into overtime. Not only did the Blackhawks kill off the penalty, the goat ended up being the hero, as Hossa scored 4:07 into the extra session to give Chicago a 3-2 series lead. The Blackhawks wrapped up the series in Game 6 back in Music City. For all of the storylines we could concentrate on in this series, there’s one that takes precedent over the rest: the return of Patrick Kane to the Blackhawks’ lineup. Kane was on his way to an MVP season, scoring 64 points (27 goals, 37 assists) in 61 games before crashing into the lower boards and suffering a broken collarbone in a game vs. Florida on Feb. 24. It was said that Kane would need 12 weeks to recover, but he just received medical clearance on Monday and has been skating with the team this week. The Blackhawks more than just stayed afloat in Kane’s absence, providing a whole lot of optimism to the team’s playoff prospects even before the news of Kane’s return. But that said, we welcome back Kane, as well as his playoff mullet, with open arms! 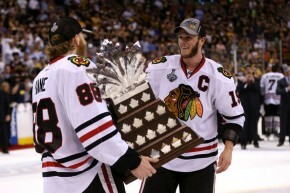 Kane is one of eight players on the team who won the Stanley Cup in both 2010 and 2013, a group that includes Hossa and 2010 Conn Smythe Trophy winner Jonathan Toews. 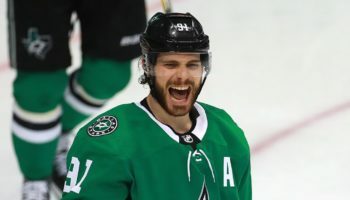 When throwing in the likes of defensemen Duncan Keith, Brent Seabrook, Niklas Hjalmarsson and forward Patrick Sharp, Chicago can’t be matched in terms of Stanley Cup pedigree, at least as far as teams that actually are in this year’s playoffs. 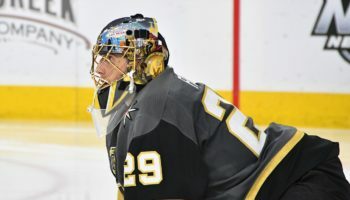 That extensive playoff experience wasn’t enough to overcome a hot goaltender in the Western Conference Finals last season as the Blackhawks lost to Jonathan Quick and the Los Angeles Kings, and Nashville hopes they have the same fire extinguisher in goal with Vezina Trophy candidate Pekka Rinne. His 41 wins led the conference, and he’ll be asked by the Preds to steal a game or two (or four) as the Blackhawks are sure to pile on the pressure on the defense. Offensively, Filip Forsberg emerged to be one of the best rookies this season, and it was needed given the relative lack of depth along four lines with the team. Depth comes in bunches at the blue line for Nashville, however, with Shea Weber’s consistent play rubbing off on his partner Roman Josi, forming a pairing of two legitimate Norris Trophy candidates. The key to the series may be sniper James Neal, whose experience in Stanley Cup Finals with Pittsburgh is invaluable and should give the forward lines a steady hand who knows what it’s like to go deep in the playoffs. ALOST’s Prediction: If the Predators are to win the series, Rinne will have to essentially steal four games. He’ll steal a couple, but not four. Oh, and Rinne’s counterpart, Corey Crawford, seems to thrive in playoff series when he goes into a series as the less-heralded keeper. Blackhawks move on. If only this series ends up just like: These teams/franchises have never met in the playoffs, so they’ll start creating an instant classic of a series starting on Thursday. But we welcome back the city of Winnipeg to the playoffs. Manitoba, can you hear me?!? How long has it been since the city of Winnipeg saw the Stanley Cup Playoffs in person? It was 1995-96, and the “Bulin Wall” was in goal, Nikolai Khabibulin, trying to stop the machine that was the Detroit Red Wings in the first round. (Winnipeg lost the series in six games.) Furthermore, Manitobans haven’t seen the Jets win a playoff series since 1987, when the infamous Winnipeg White Out – all fans in attendance wearing white shirts – created an intimidating atmosphere in old Winnipeg Arena as the Jets eliminated the defending Campbell Conference champion Calgary Flames in six games. The old Winnipeg Arena gives way to the MTS Centre, already one of the toughest atmospheres in the league to have success in as a road team, and the home team assembled on the ice certainly can match the fans’ intimidation factor. Obviously, the turning point in the year came on Feb. 11, when the Jets traded the extremely-talented yet star-crossed forward Evander Kane to Buffalo, acquiring the towering defenseman Tyler Myers and forward Drew Stafford. Kane, after missing a pre-game meeting and being scratched before a Feb. 5 game vs. his hometown team of Vancouver, was seen by many as doing more harm than good interns of team chemistry, and GM Kevin Cheveldayoff pulled the trigger on the gutsy trade a few days later. That was the turning point to the season, but that moment would make it easy to forget that this team is good from the blue line on upward. Each of the members of the first line – Bryan Little, Andrew Ladd and Blake Wheeler – scored 20 goals this season, with Wheeler not afraid of mixing it up and adding steel to the line’s style. Speaking of steel and style, almost no one personifies that combination more than defenseman Dustin Byfuglein, who was a menace as a forward for Chicago during the Blackhawks’ 2010 run and should cause more problems this postseason. In goal, Ondrej Pavelec, an average goaltender at best going back to his Atlanta Thrasher days, produced his best season as a pro and comes into the playoffs on the back of three consecutive road shutouts, including wins at Minnesota (32 saves) and at St. Louis (30 saves). But the Jets aren’t three-time winners of the Pacific Division, like the Anaheim Ducks are, and they have been starving for prolonged playoff success ever since winning the Stanley Cup eight years ago. Ryan Getzlaf and Corey Perry once again were the main men in another division title winner, and the addition of center Ryan Kesler in the offseason was made for the physical series the Ducks would face, like the one they came up short in during last year’s Western Conference semis against the Los Angeles Kings. Though maybe not at the Kings’ level, Winnipeg is a squad that loves to push its opponents around for 60 minutes. Also like last season, the Ducks go into the postseason with two capable goaltenders: Frederik Andersen got most of the starts this season while John Gibson, who impressed late in the season and into the playoffs last season, can be relied upon if Andersen stumbles. ALOST’s Prediction: This is another series in which the Wild Card is being fancied by a lot of experts. We just don’t see it here. Anaheim, despite its recent shortcomings, will make home ice advantage count and move on to the next round. Those are the last three instances these Canadian rivals have met in the playoffs. 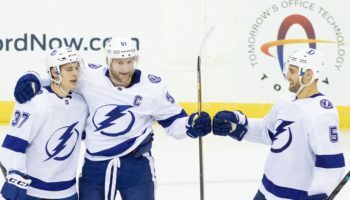 Each time, it was a first-round series that went all seven games, with the winner of Game 7 not only winning the game in overtime but also then going on and advancing to the Stanley Cup Finals. Probably the pick of that litter is 1989, when the Presidents’ Trophy-winning Flames were pushed to the brink, needing some miraculous saves by Mike Vernon and a late overtime goal that deflected off of Joel Otto’s skate and into the net to avoid the major upset. After losing those three games in that series against the Canucks, the Flames lost only three more games combined in their next three series on the way to hoisting the Stanley Cup. Honestly, some of the saves that Vernon made in that Game 7 vs. Vancouver just have to seen to be believed, even 26 years after the fact! I would give you reasons as to why the Calgary Flames won’t win the series, but all that will end up doing is proving you why they just might. All season long, the Flames have been sold short. After their hot start to the season, it was thought that it wouldn’t last long enough to make a serious impact. When the Flames eventually embarked on an eight-game losing streak in December, that was supposed to be the death knell. Calgary recovered, but then suffered a big blow when defenseman and captain Mark Giordano, a favorite to win the Norris Trophy, was sidelined for the rest of the season with a torn biceps muscle in late February. Season over after that? Don’t bet on it. In the penultimate game of the season, Calgary earned a 3-1 home win against the defending Stanley Cup champion Los Angeles Kings, clinching their playoff spot while officiallyending the Kings’ chance of defending the Stanley Cup. There should be no more questions about whether one of the youngest teams in the league – led by forwards Johnny Gaudreau and Sean Monahan – can play in the pressure cooker of the Stanley Cup Playoffs. After missing the playoffs last season and quickly figuring out that John Tortorella wasn’t going to be the guy to lead Vancouver back to the Stanley Cup Finals any time soon, the Canucks turned to Willie Desjardins, who coached the Texas Stars to the Calder Cup last season, and he implemented an uptempo style that players and fans alike have enjoyed all season long. Both Henrik and Daniel Sedin were back to their Hall of Fame-like form, and both were boosted with the addition of Radim Vrbata to the line for most of the season. Coming over from the Arizona Coyotes this past offseason, the right winger played most of the season with the Sedins and ended up leading the team with 31 goals. As per usual with the Canucks during this time of year, the biggest questions come in goal. Ryan Miller missed almost all of the final quarter of the season with a knee injury, putting a damper on an otherwise solid season. Eddie Lack has been steady, going 13-7-2 down the stretch for the Canucks, but Miller did come back and played in the regular season finale. It would look like Lack would get the first crack in the series, but stay tuned to what happens in net. All Canucks fans have that down to a science by now, with the ups and downs of erstwhile goalkeeper Roberto Luongo. ALOST’s Prediction: Here’s another reason to doubt the Flames: 14 of the 27 players on the roster have not appeared in a postseason game. Experience should win out. But we’re predicting that the Flames players won’t be getting their playoff beards cut and shaved at the Chin Whiskey Shearing & Shaving Co. in downtown Calgary just yet, and their magic carpet ride continues. But, if and when the Flames’ season does end, we suggest the players (as well as fans) who want to rid their playoff beards head to the fine barber shop establishment!